I often find myself reading a lot of posts on blogs, social media and in private Facebook groups about the difficulties that women face (and I’m going to say women, here, only because I haven’t read any accounts from men on this matter, but it doesn’t mean that stay at home dads don’t feel this way, too) when moving from career woman to stay at home parent. The main issues seem to be the struggle with a loss of identity – suddenly you’re not ‘you’ anymore, you’re ‘mummy’, and the loss of focus in day to day life; the novelty of maternity leave suddenly becomes permanent, and boredom and a loss of direction quickly set in. If you’re a regular reader of my blog, you’ll know that I recently received my P45, and am now officially a stay at home parent. 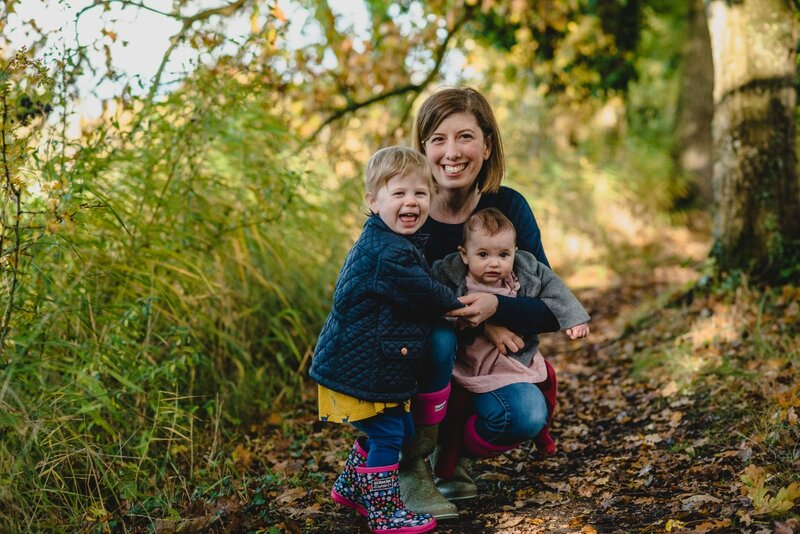 In less than five years, I’ve gone from unmarried, career-driven senior teacher with additional qualifications coming out of my ears, to a there’s-more-to-life-than-work supply teaching wife, to a full time stay at home parent to two under two. Come to think of it, it was actually just shy of three years between handing in my notice from my last permanent post, to the birth of B last year. Phew! Now, my life revolves almost solely around my family. It’s all too easy for the weekdays to blur and mould into one another; sometimes, when I come to review the week in my Living Arrows posts, I struggle to remember what we did on which days. Sometimes, I struggle to remember what we did at all, although I do wonder how much of that is down to baby brain (it’s a scientific fact, honestly!). Towards the end of last year, I started to really struggle with feeling a complete loss of identity. I’m thrilled that I’ve been able to breastfeed B, and we’re still going strong at almost eleven months. But she won’t take a bottle, so the opportunities for me to have time to myself are very few and far between. I felt as though life was becoming an endless treadmill of nappies and feeds. So, I decided to change my mindset. Rather than feeling like I was losing myself, I decided to redefine myself in my own mind, and see parenthood as my job. In my 19 goals for 2019, I chose to set myself targets that would lend some structure to my ‘working’ week. We have a couple of baby and toddler classes that we go to each week. 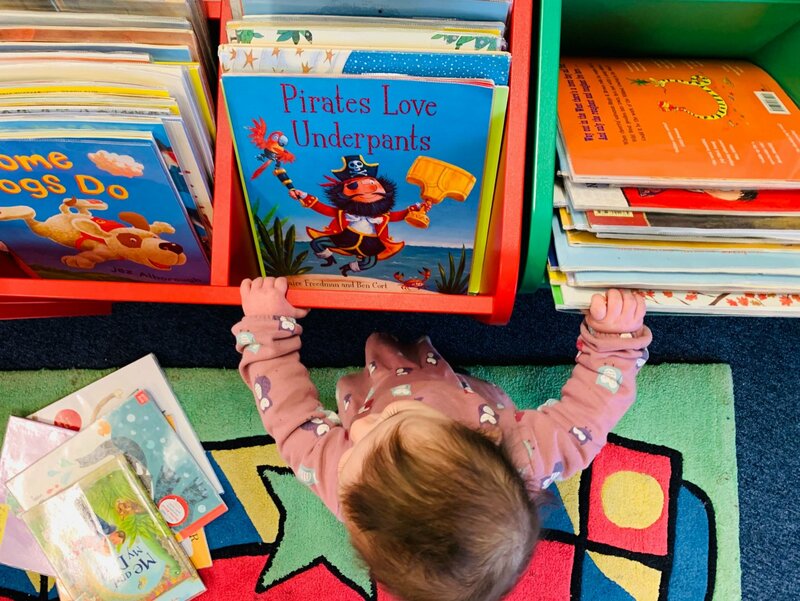 Then we try to go to the library once per week, and I’ve made my Pondering Playtime series weekly, to make sure that I’m creating some nice play and learning opportunities for the girls. Adding an element of structure to our week has helped me to feel more positive. I also try to do a few fun things like eating pancakes for lunch, just because we feel like it, or popping to the cafe for a babyccino and a hot chocolate. M loves a nice cafe, and she’s not alone! Our other goal of spending even a little bit of time outside every day has helped my mentality, too. Essentially, I’ve stopped seeing myself as ‘just’ a mum, and have reminded myself that I’m still an educator, but my class is a a whole lot smaller in size. "Pondering Playtime // The Tiger Who Came to Tea Tuff Spot"
Great post. Loss of identity is something I have struggled with. I used to be a paralegal with a writing career taking off and ambitions coming out of my ears. 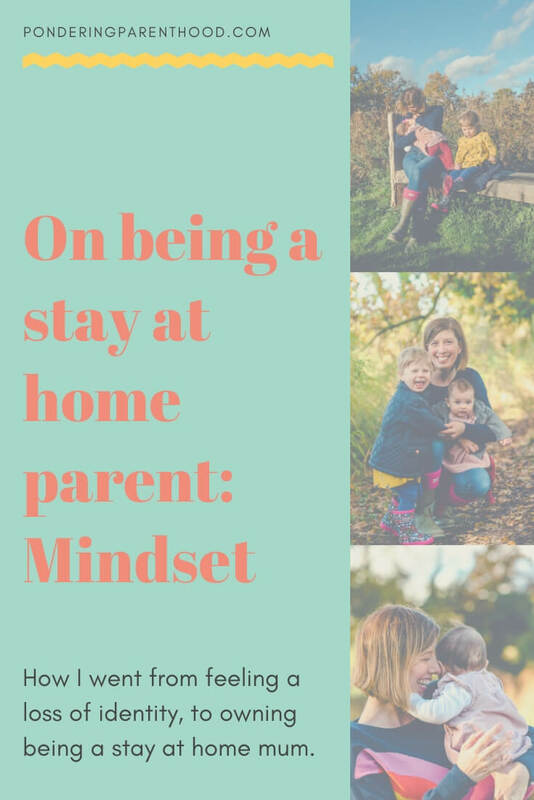 It’s a massive shock to the system when you become a stay at home parent and at times it feels like you’ve become a whole new person. It does. 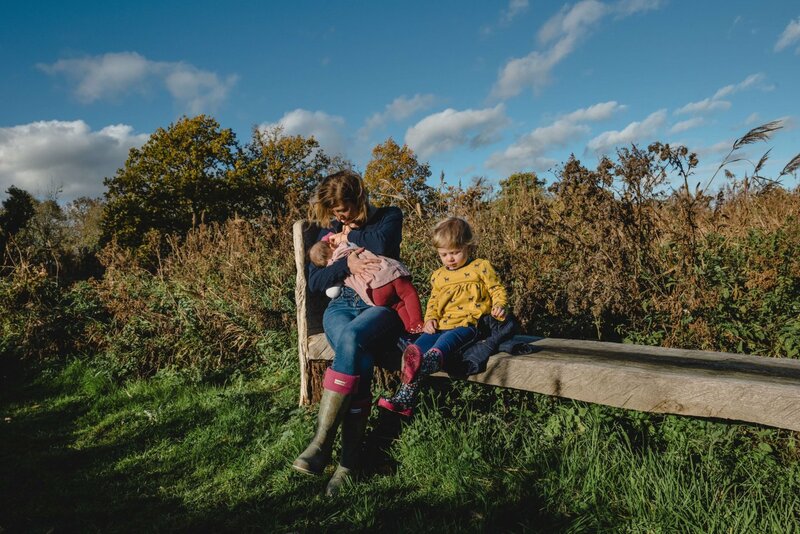 I think for me it is maybe a little bit easier as I was used to working with primary school children, so I’ve just adjusted my mindset to consider my own children a little like my own class – there’s just two of them, and they’re a bit smaller than I’m used to!